Freecharge offering get Rs.10 cashback to Rs. 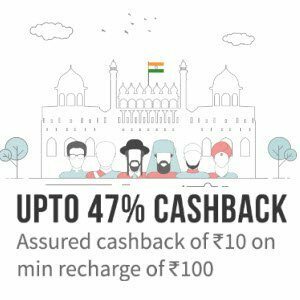 47 cashback on Rs.100 recharge. Working only with Freecharge Balance, Credit and Debit card payment. It works for all users. How to get Rs. 10 to Rs. 47 cashback on Freecharge App?